Eli Lilly has joined the list of big pharma companies looking at off-loading business units to maintain a tighter focus on prescription drug products. The US drug maker says it is considering options for its animal health unit Elanco, which could include an “initial public offering, merger, sale, or retention of the business”, adding that it will provide an update on its plans “no later than the middle of 2018”. The decision comes less than a year after Lilly bought Boehringer Ingelheim’s animal vaccines business for an undisclosed sum, and less than three years after it paid $5.4bn for Novartis’ animal health unit. Lilly CEO David Ricks told investors yesterday that the unit is now in the top 5 animal health players worldwide and with the integration of the added businesses largely complete the unit is “poised to compete effectively and really grow aggressively ahead”. 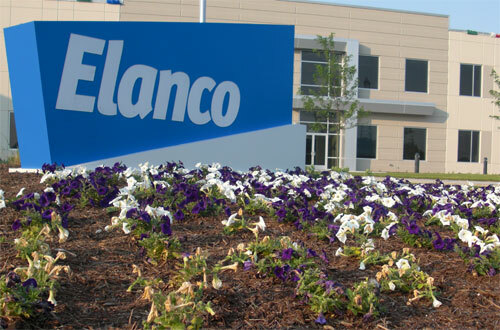 The timing of the review of Elanco’s future has raised eyebrows, particularly as organic growth at the unit hasn’t been strong as of late. Revenues at the unit rose 4% in the third quarter thanks to the Boehringer acquisition but that masked an underlying 10% decline for the unit thanks to competitive pressures for drugs such as flea, heartworm, and intestinal parasite product Trifexis. Elanco’s revenues for the quarter came in at $741m, around 13% of Lilly’s total sales of $5.66bn which were up 9% on the same period of 2016 thanks to surging sales of diabetes drugs Trulicity (dulaglutide) and Jardiance (empagliflozin) and a near five-fold increase for psoriasis drug Taltz (ixekizumab). Sales of Trulicity and Jardiance both more than doubled to $528m and $127m respectively and in the quarter, while Taltz surged 365% to $151m, helping to offset declines for cancer drug Alimta (pemetrexed) and antidepressant Cymbalta (duloxetine) resulting from generic competition. Off-loading Elanco could raise billions of dollars to invest in the pharma business at a time when it is facing biosimilar competition from Sanofi for its best-selling drug Humalog (insulin lispro), with the rival Admelog version approved in the EU and US in September.